Glow in the dark necklaces have proved to be a fashion statement that has become popular all around the world with a flare and a trend of its own. Glow in the dark necklaces are made from the highest grade of raw material. The materials used in the manufacturing of these necklaces have passed quality control tests so that they emit a brighter glow for an extended period of time. Glow in the dark necklaces are the kids number one favorite when it comes to partying. Kids and teenagers just love these bright glowing necklaces. 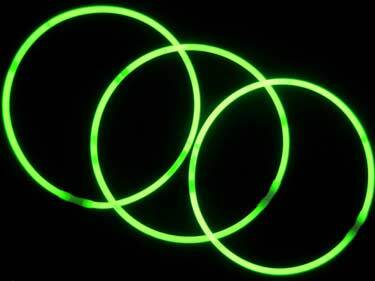 These necklaces are also known as glow ropes are a huge birthday party hit with children of all ages. Young party goers place these glow in the dark necklaces around their neck and enjoy the full evening. They dance to their favorite music, eat candies, popcorn and have countless glasses of sodas and last but not the least pizzas and tall glasses of ice cream floats. Now you can conveniently buy glow in the dark necklaces online to make sure that your child’s party is a great success. All that you need to do in order to make a purchase for this merchandise is to log on to our user friendly web page where the you can see the pictures for the product and get more information regarding various different kinds of other items that can help to make your party the only topic of conversation for many days to come. The online availability has helped a lot of consumers by providing people with an easy and expedient way of purchasing these adorable, flamboyant, zingy and colorful necklaces. Each one of these necklaces comes with a connector that is used to connect the two ends. In fact, as an alternate option, if anyone wants to join two or more tubes in order to make a longer necklace, this can easily be done as well. For those who organize events or throw various parties during the year, you can even purchase glow in the dark necklaces wholesale to ensure that you get a great price for your bundle bargain purchase. The glow in the dark necklaces are available in a wide range of colors like red, blue, pink, yellow, green, purple and orange. They are also available in tri-colors, such as: red green blue, white blue red, the Mardi Gra purple yellow green and also Cinco de Mayo red green white. Whatever the color you choose, make sure it coordinates and blends with the other decoration that you are going to set up at your party. Irrespective of the final color choice, availing of these great glow necklaces will add more color and zing to the party and to all of your guests as well. Besides glow in the dark necklaces, you should also check out our glow in the dark bracelets. Glow in the dark necklaces and bracelets go hand in hand and both are a must have item to include for your great party. Rated as one of the top selling party products, both glow in the dark necklaces and bracelets have established the fact that kids simply have a wonderful time in the neon like ambience that is created when everyone is wearing these accessories. The use of this product has now become a trend in parties for kids, teens and adults as well. Everybody loves wearing these light-up trinkets, whether they are necklaces or bracelets. They are big hit with one and all.